TLJ News: April 16-20, 2013. 4/18. The Senate Judiciary Committee (SJC) held an executive business meeting at which it approved the nomination of Gregory Phillips to be a Judge of the U.S. Court of Appeals for the 10th Circuit. 4/18. The Senate confirmed Analisa Torres to be a Judge of the U.S. District Court for the Southern District of New York. See, Congressional Record, April 18, 2013, at Page S2817. 4/18. The Senate confirmed Derrick Watson to be a Judge of the U.S. District Court for the District of Hawaii. by a vote of 94-0. See, Roll Call No. 106. See also, Congressional Record, April 18, 2013, at Page S2817. 4/18. Sen. Patrick Leahy (D-VT) and Sen. Charles Grassley (R-IA) once again sparred in the Senate over confirmation of judicial nominees. Sen. Leahy, the Chairman of the Senate Judiciary Committee (SJC), said that Republicans are filibustering and delaying President Obama's nominees with "destructive tactics" that are "putting an unnecessary strain on our Federal courts". See, transcript. Sen. Grassley, the ranking Republican on the SJC, stated that the current Senate is moving more expeditiously on Obama's nominees that the Senate did on President Bush's nominees. He also said that Obama "has allowed vacancies to accumulate before submitting nominations. So it's about time that down at the White House they get down to work, decide who they’re going to nominate, and get the nominations up here". He added that "Throughout his administration it has been the case that a majority of vacancies have had no nominees. Presently do you know that 3 of 4 vacancies have no nominees up here? For the 36 vacancies categorized as ``Judicial Emergencies´´ there are only 8 nominees." See, transcript. Sen. Leahy did not use this occasion to discuss the nomination of Valerie Caproni for the USDC/SDNY. Over five months after Obama first nominated her, Sen. Leahy has yet to schedule a hearing. See, story titled "Obama Nominates Caproni to District Court" in TLJ Daily E-Mail Alert No. 2,474, November 19, 2012, and story titled "Sen. Grassley Seeks Information on Caproni's Involvement in FBI Violations of Surveillance Law" in TLJ Daily E-Mail Alert No. 2,538, March 21, 2013. 4/18. House and Senate Republicans continue to press Tom Perez, President Obama's nominee to be the next Secretary of Labor, to respond to a subpoena issued by the House Oversight and Government Reform Committee, and to respond to other Congressional requests. Perez, who is currently Assistant Attorney General in charge of the Department of Justice's (DOJ) Civil Rights Division (CRD), has advocated regulation of web sites and information technology under the guise of the Americans with Disabilities Act (ADA). However, the opposition to his nomination relates to some of Perez's other actions at the CRD. See, April 15 report [68 pages in PDF], and April 18 letter from Sen. Charles Grassley (R-IA) to Perez. See also, story titled "Obama Picks IT Nemesis Tom Perez to Be Secretary of Labor" in TLJ Daily E-Mail Alert No. 2,535, March 18, 2013. 4/17. The House Commerce Committee (HCC) passed HR 1580 [LOC | WW | PDF], an untitled bill "To affirm the policy of the United States regarding Internet governance", by voice voice, without amendment. However, the bill is different from the earlier discussion draft. Rep. Greg Walden (R-OR) and others introduced this bill on April 17. However, the HCC's Subcommittee on Communications and Technology (SCT) passed a discussion draft on April 10, 2013. See, story titled "House Subcommittee Approves Bill Regarding Promoting a Global Internet Free from Government Control" in TLJ Daily E-Mail Alert No. 2,550, April 11, 2013. The discussion draft passed by the SCT stated that "It is the policy of the United States to promote a global Internet free from government control and to preserve and advance the successful multistakeholder model that governs the Internet." The bill passed by the full Committee states that "It is the policy of the United States to preserve and advance the successful multistakeholder model that governs the Internet." That is, the bill dropped the reference to an "Internet free from government control". Some SCT members and outside groups argued that the language of the discussion draft would have implicated the Federal Communications Commissions' network neutrality rules and its open proceeding regarding an IP transition. See, story titled "House Commerce Subcommittee Begins Mark Up of Internet Freedom Resolution" in TLJ Daily E-Mail Alert No. 2,549, April 10, 2013. Rep. Fred Upton (R-MI), Chairman of the HCC, stated in a release that "Last Congress, both chambers passed a resolution directing our delegation at the World Conference on International Telecommunications ‘to promote a global Internet free from government control.’ That resolution helped unite the United States and more than 50 other countries in opposing treaty proposals that would subject the Internet to regulation at the hands of a United Nations agency and facilitate Internet censorship by foreign governments. Such threats unfortunately continue to grow". The 112th Congress passed SConRes 50. See, stories titled "House Passes Internet Governance Resolution" in TLJ Daily E-Mail Alert No. 2,483, December 5, 2013, "Senate Foreign Relations Committee Approves Internet Governance Resolution" in TLJ Daily E-Mail Alert No. 2,452, September 20, 2012, and "House Approves Resolution Opposing International Internet Regulation" and "Ambassador Kramer Addresses Upcoming WCIT" in TLJ Daily E-Mail Alert No. 2,420, August 4, 2012. 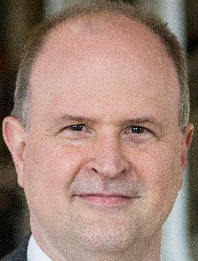 Ed Black, head of the Computer and Communications Industry Association (CCIA), stated in a release that "We appreciate the committee's effort to clarify that this legislation is directed at international concerns such as current attempts by Internet restricting countries to impose inter-governmental control over the content on the Internet. The legislation as now evolved should minimize any misuse of this policy statement here at home." Gary Shapiro, head of the Consumer Electronics Association (CEA), stated in a release that HCC passage of this bill is "an important step in the defense of a free and open Internet. This bipartisan vote sends a strong message against government attempts to censor and control the Internet. We ask Congress to pass this measure as quickly as possible. And we urge all nations to recognize that freedom from government interference is precisely responsible for making the Internet the world's greatest engine of human progress." 4/16. Sen. Mike Enzi (R-WY) and others introduced S 743 [LOC | WW], a bill that would allow states to collect sales taxes on online transactions. On February 14, 2013, Sen. Enzi introduced S 336 [LOC | WW]. Both bills carry the title "Marketplace Fairness Act". S 743 has not yet been referred to any committee. Nevertheless, Sen. Harry Reid (D-NV), the Senate Majority Leader, announced that he will move this bill to the full Senate, without any committee hearings or markup, next week. Sen. Orrin Hatch (R-UT) is the ranking Republican on the Senate Finance Committee (SFC), which would have jurisdiction over the bill if Sen. Reid were not attempting to circumvent the committee process. Sen. Hatch stated in a release that this bill "just isn't ready yet. Bringing legislation of such far-reaching consequences to the floor of the Senate when the Finance Committee hasn't even held a hearing or a markup on it isn't the way we should be doing business around here. I've heard concerns from Senators on both sides of this issue that we need more time and this bill needs greater scrutiny before moving ahead. One thing is certain, however, this legislation must be subject to a thorough open debate and amendment process." The other original cosponsors of this bill are Sen. Richard Durbin (D-IL), Sen. Lamar Alexander (R-TN), and Sen. Heidi Heitkamp (D-ND). On March 22 the Senate passed a non-binding item -- an amendment to SConRes 8, a budget resolution -- regarding S 336, by a vote of 75-24. See, Roll Call No. 62. That amendment stated that "The Chairman of the Committee on the Budget of the Senate may revise the allocations of a committee or committees, aggregates, and other appropriate levels in this resolution for one or more bills, joint resolutions, amendments, motions, or conference reports related to allowing States to enforce State and local use tax laws and collect taxes already owed under State law on remote sales by the amounts provided in such legislation for those purposes, provided that such legislation would not increase the deficit over either the period of the total of fiscal years 2013 through 2018 or the period of the total of fiscal years 2013 through 2023." Go to News from April 11-15, 2013.